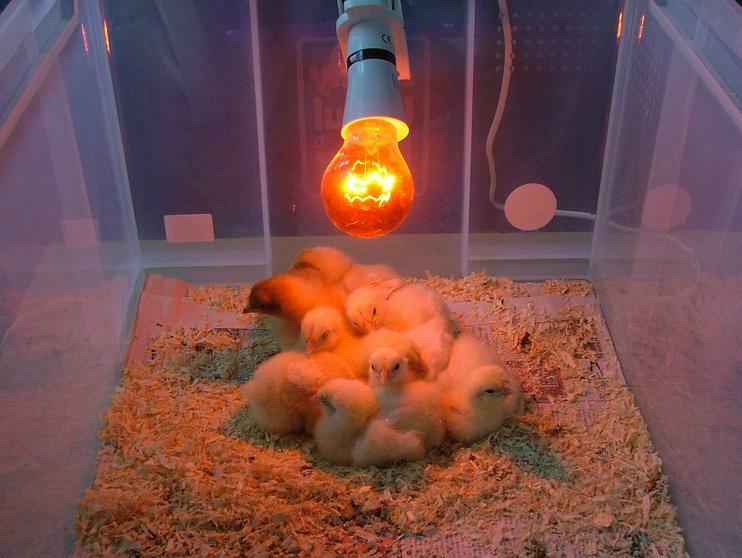 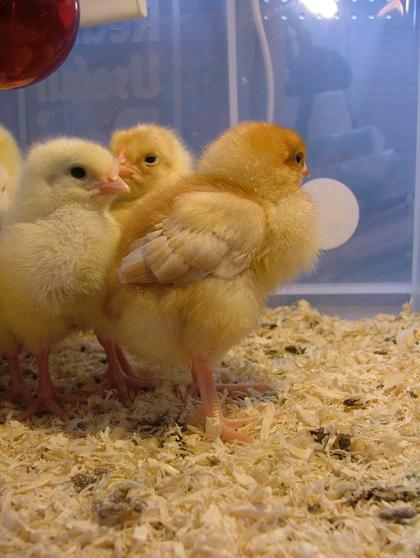 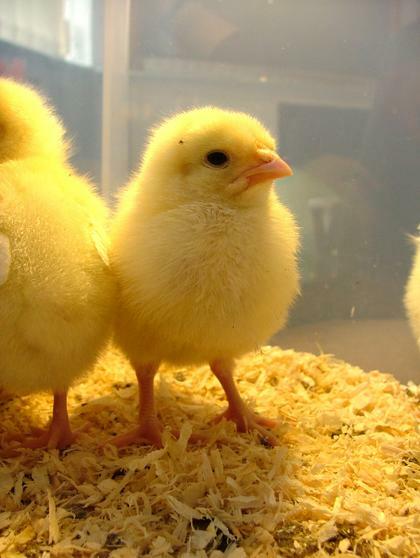 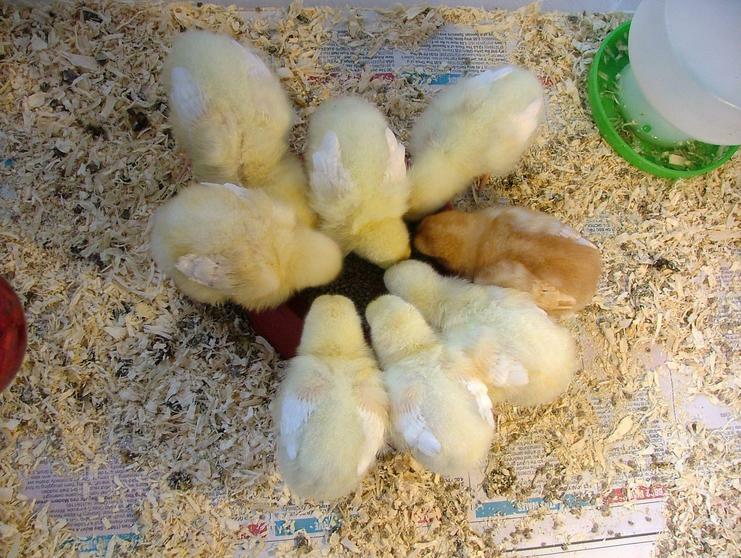 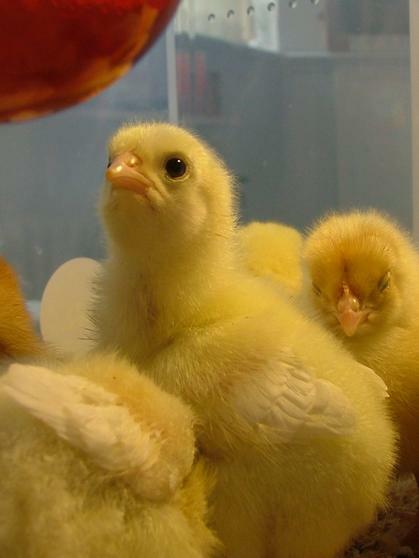 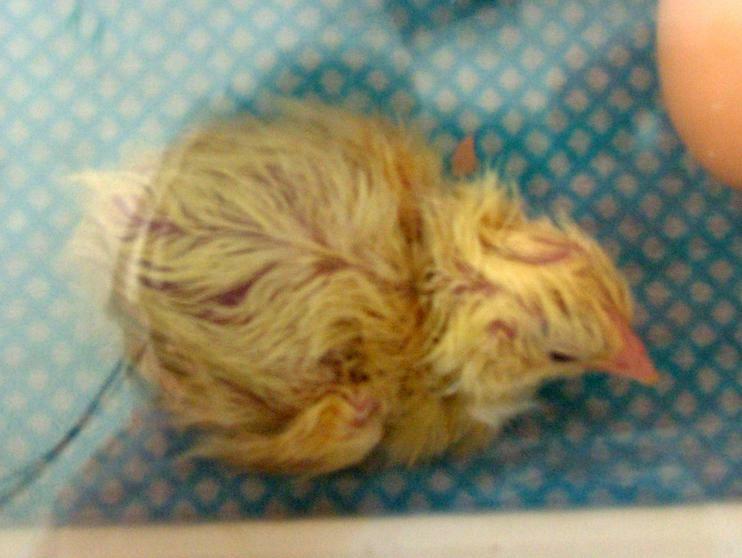 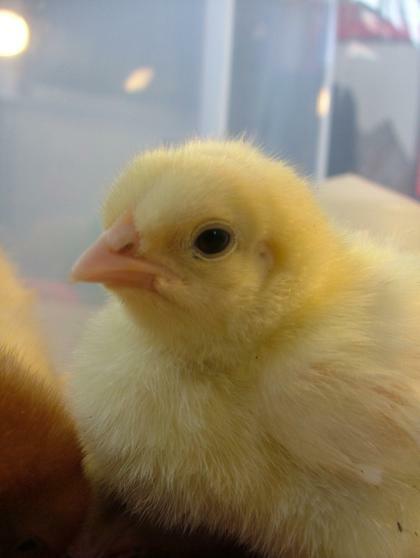 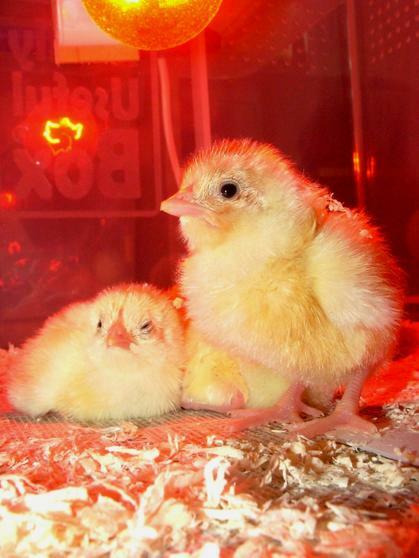 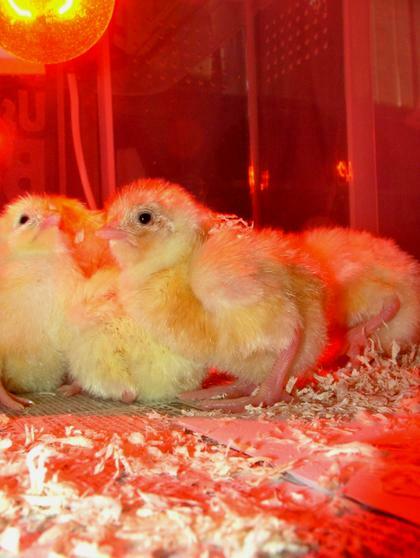 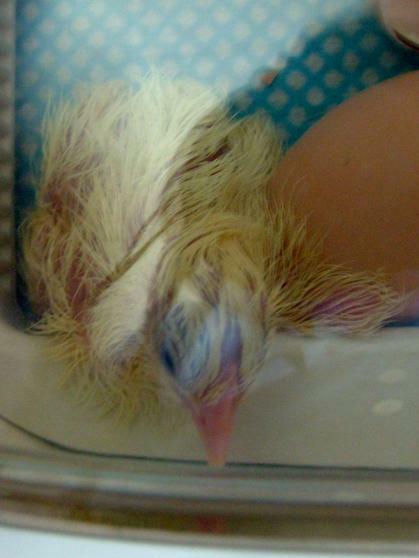 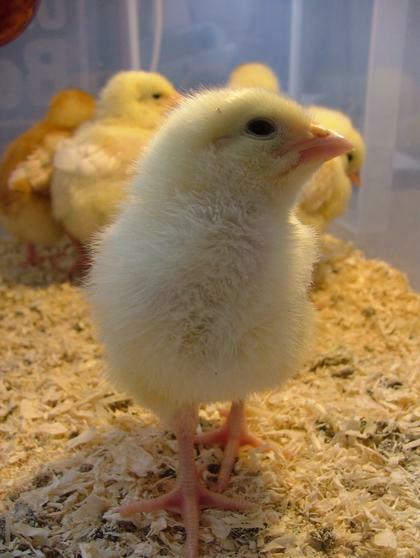 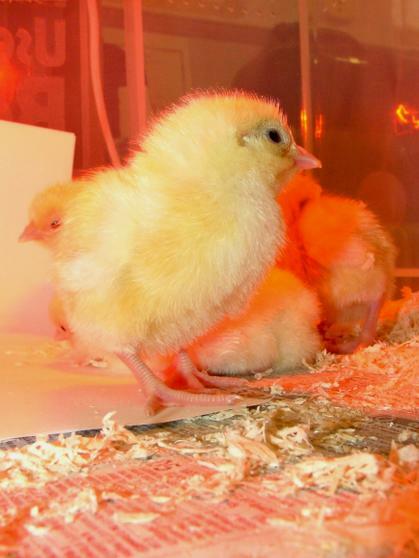 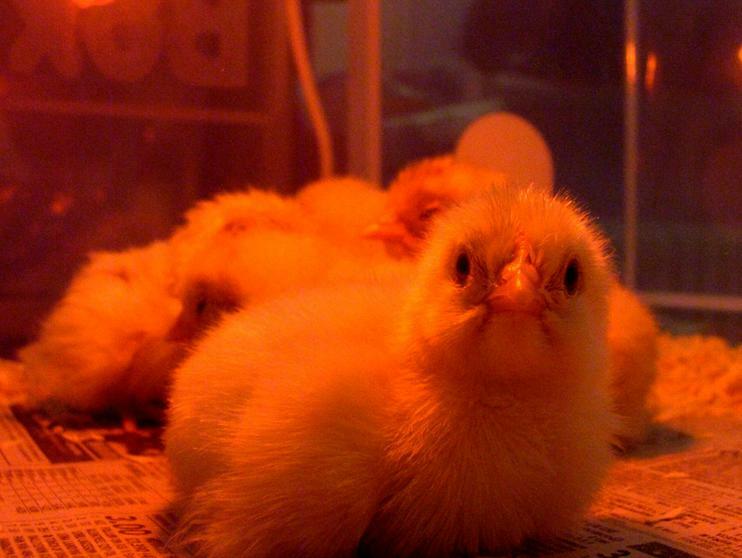 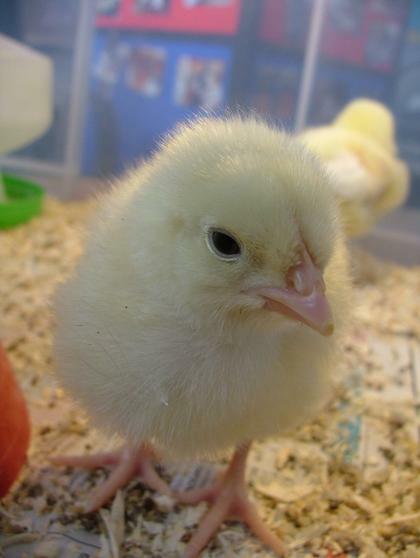 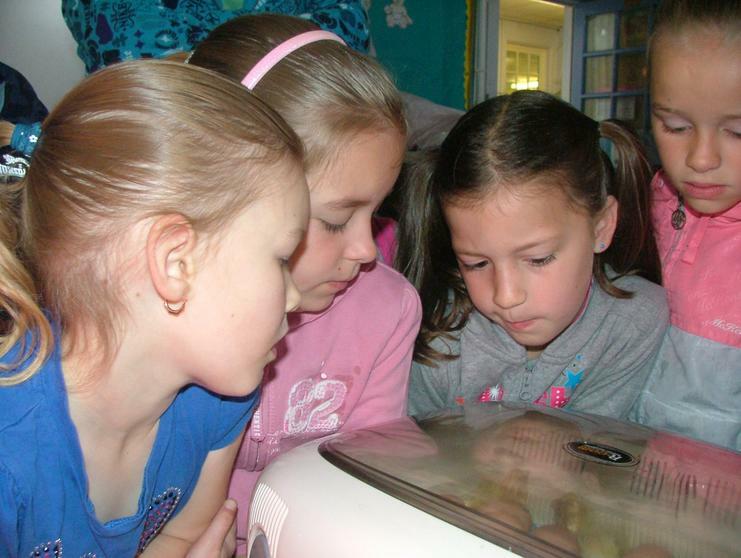 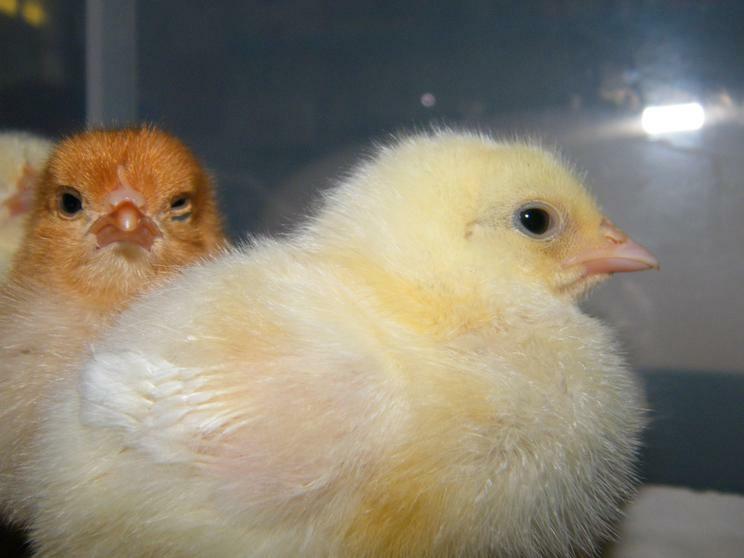 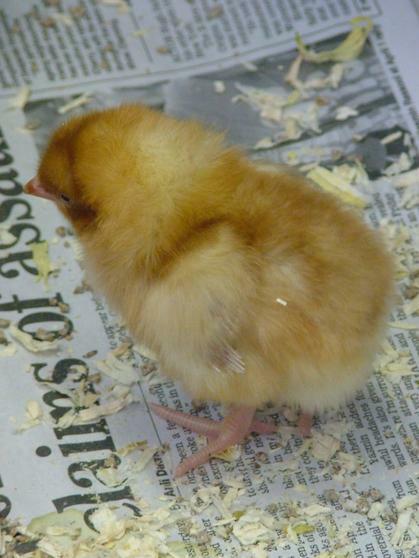 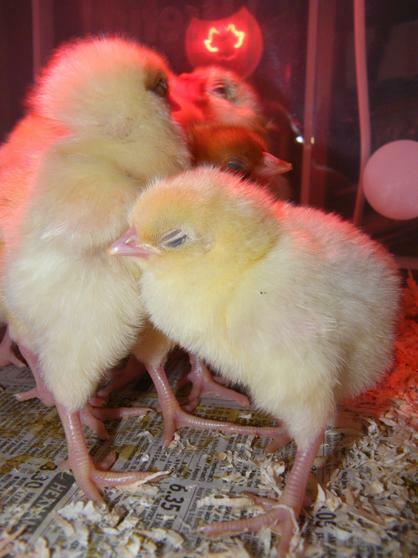 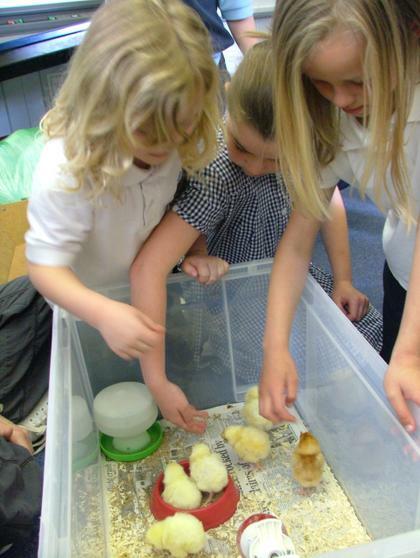 We love having the chicks come into school and watching them hatch. 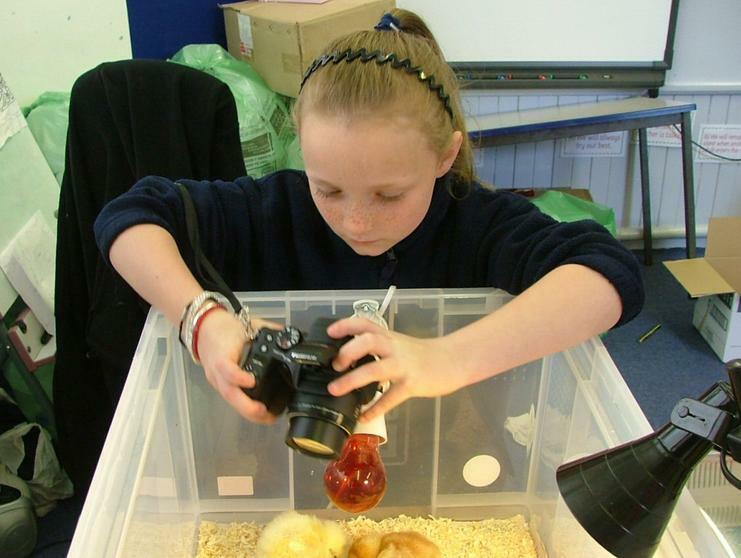 Everyone gets involved and we are amazed at the rate that they grow. 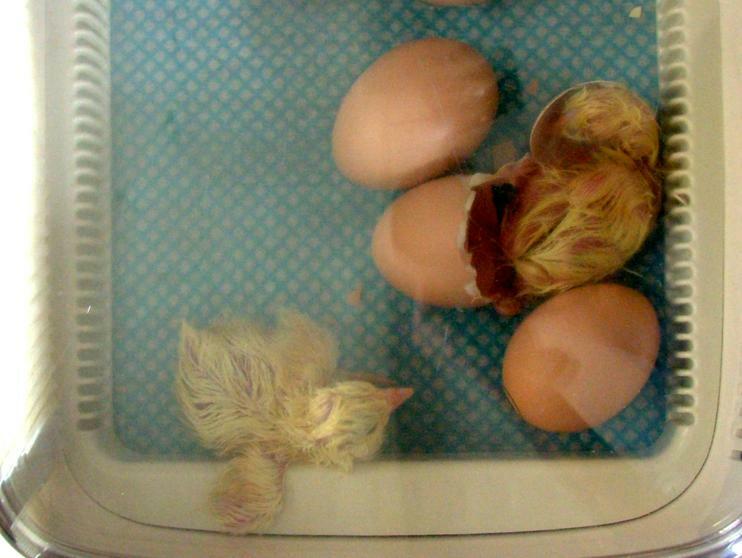 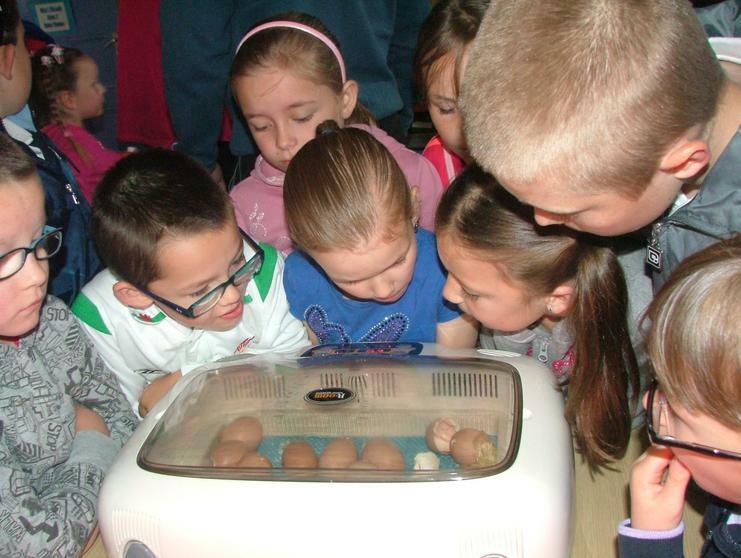 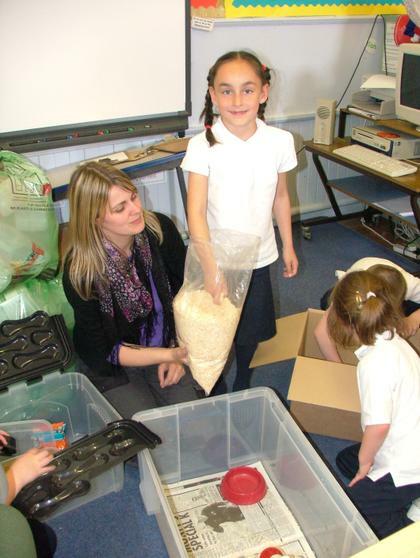 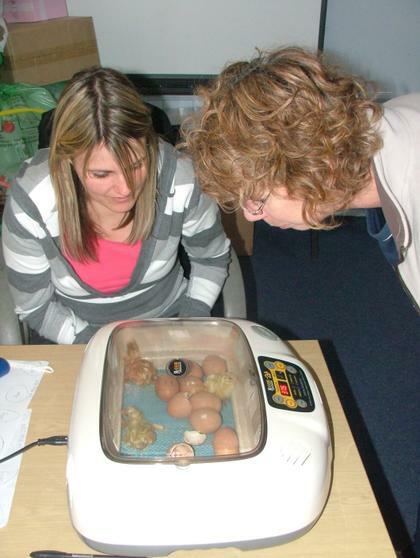 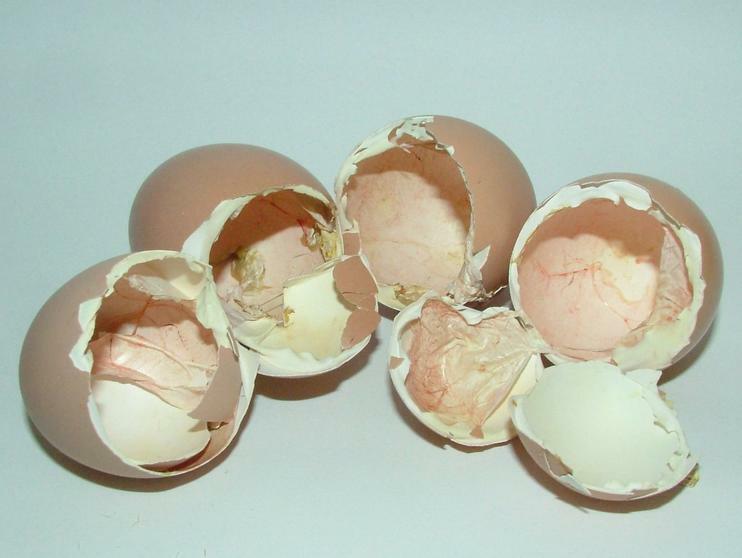 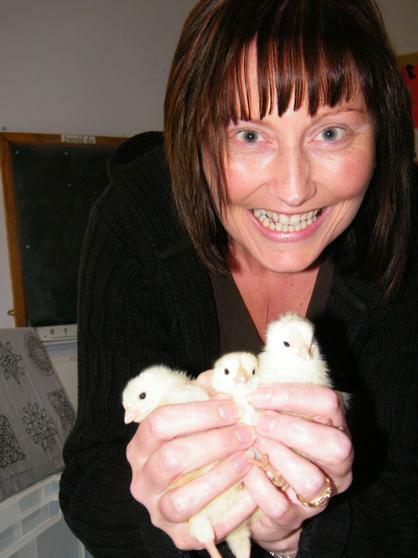 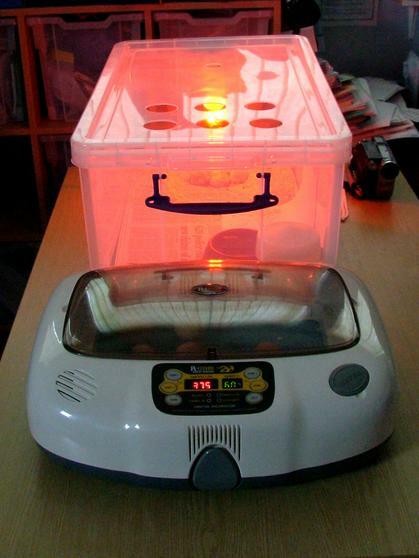 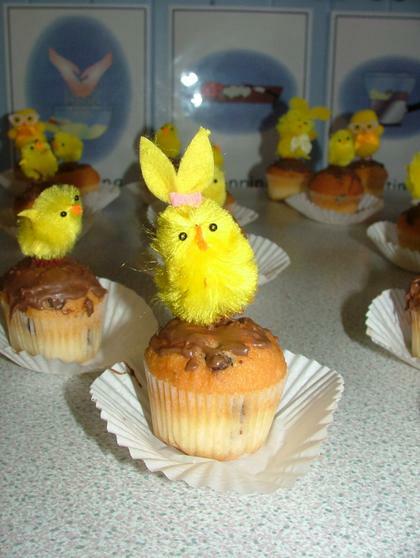 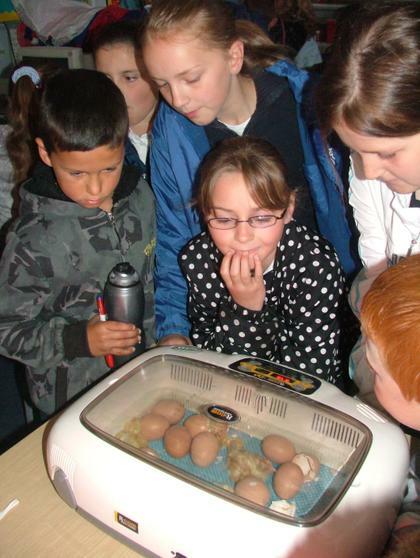 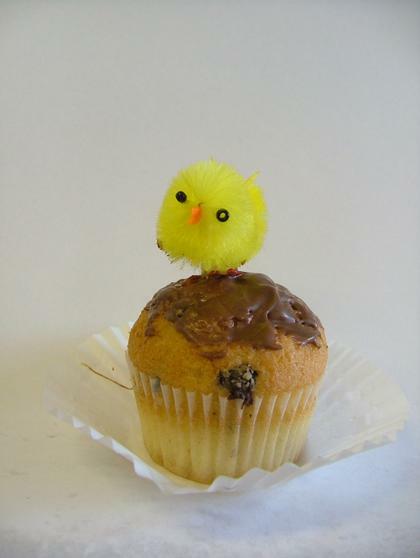 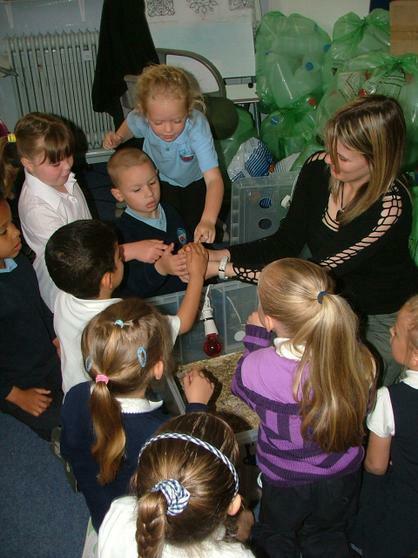 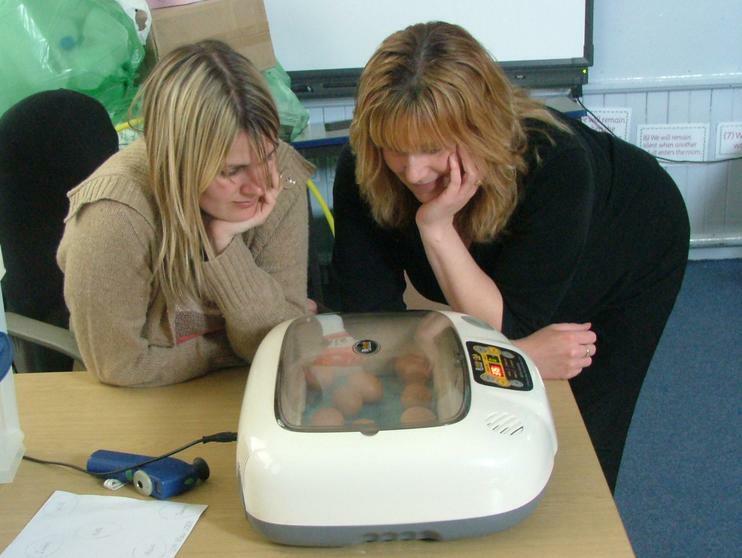 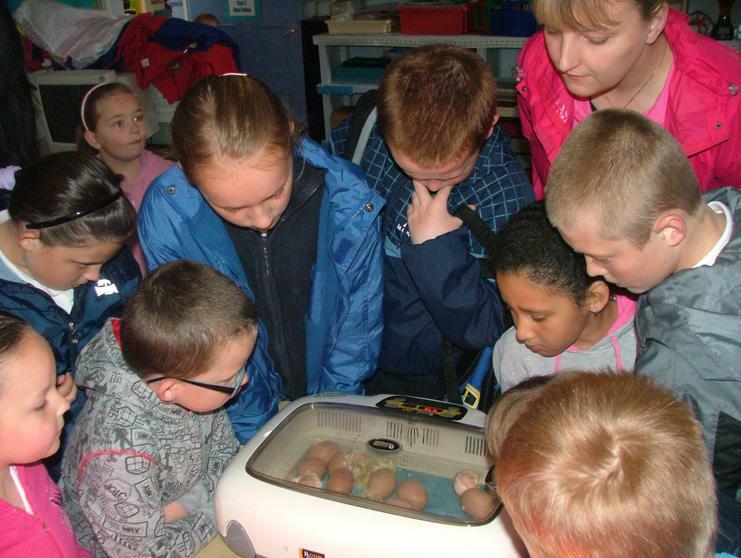 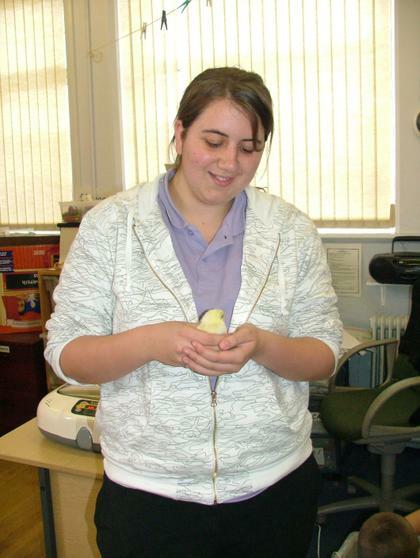 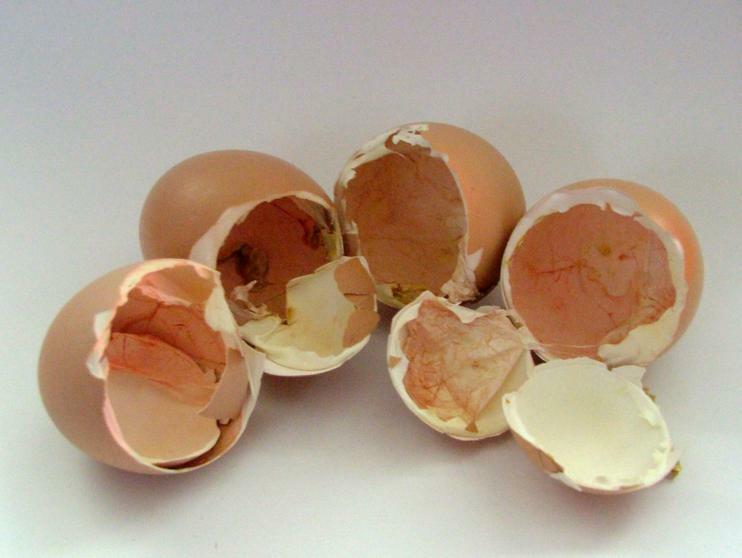 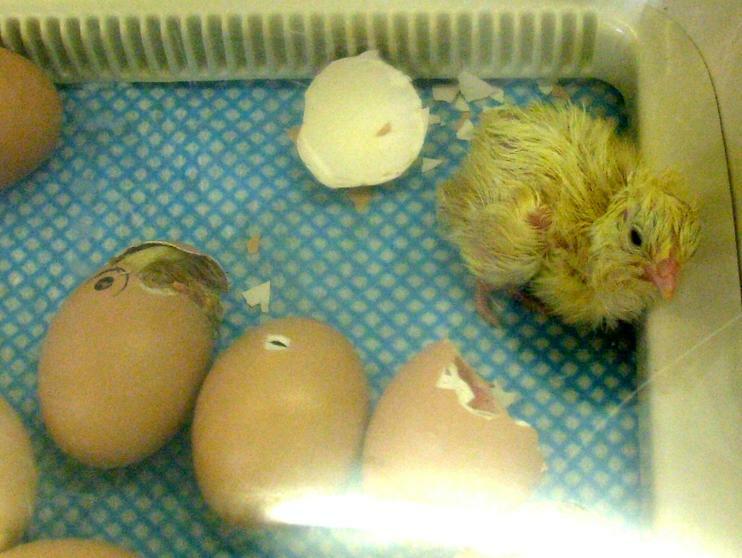 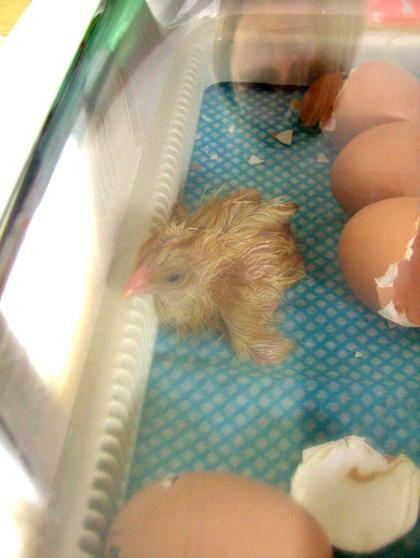 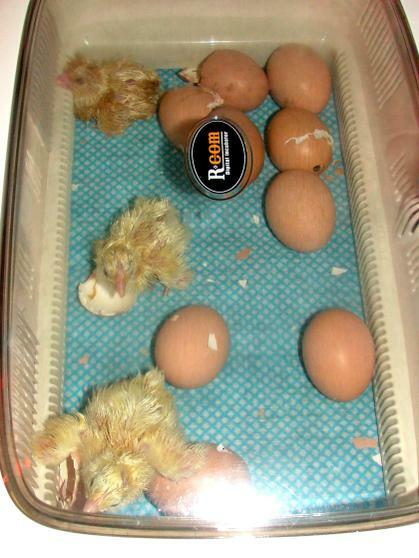 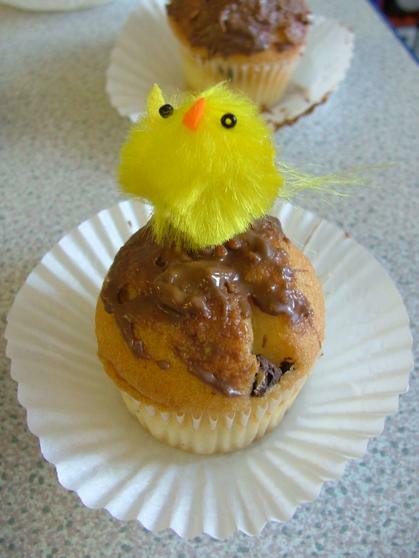 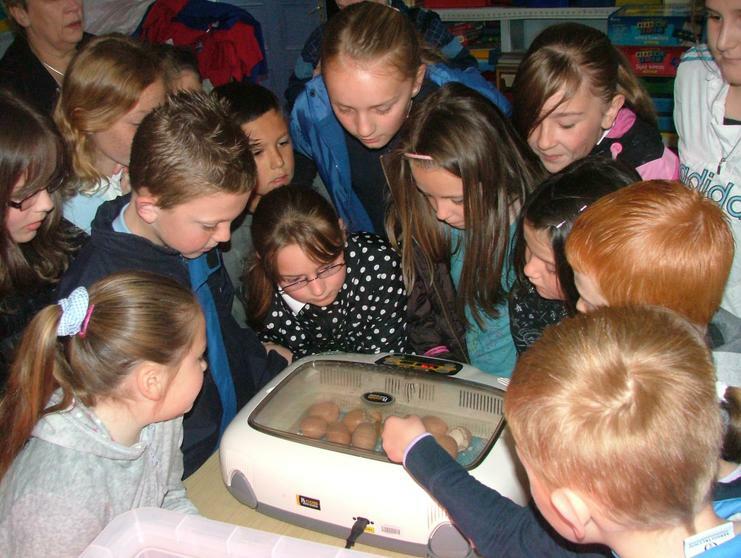 Miss Clissold had organised some eggs and the incubator as part of a theme about growing and nature, called 'the Great Outdoors' for her classes. 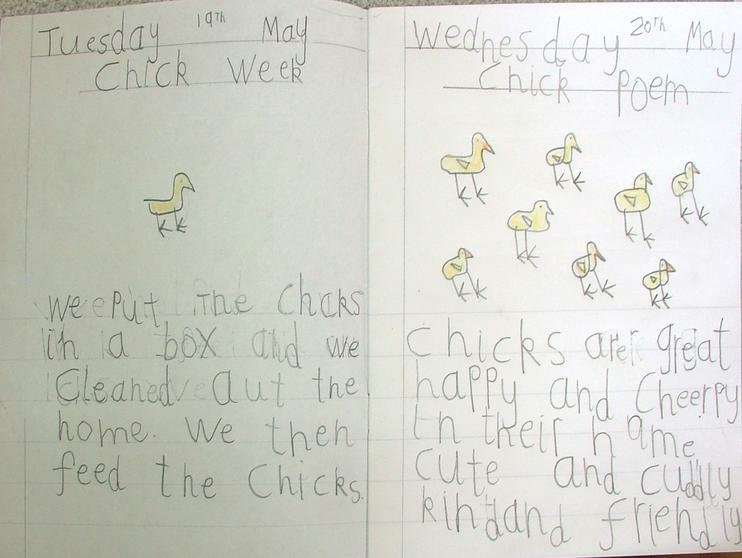 Later on Miss Clissold takes her class to a local working farm and they can see the chickens, ducks (and even peacocks!) 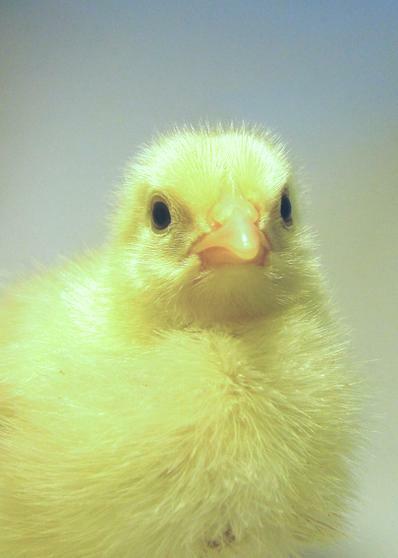 up close. 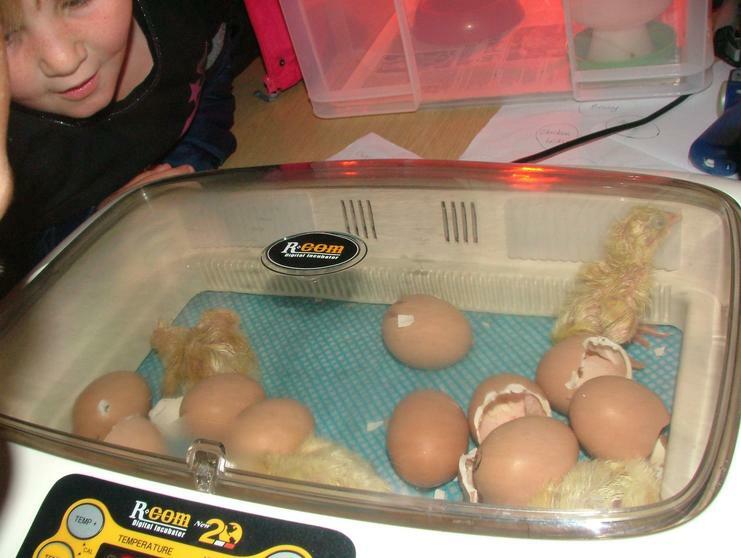 The eggs started to hatch about 7am and Miss Clissold was on hand to greet them. 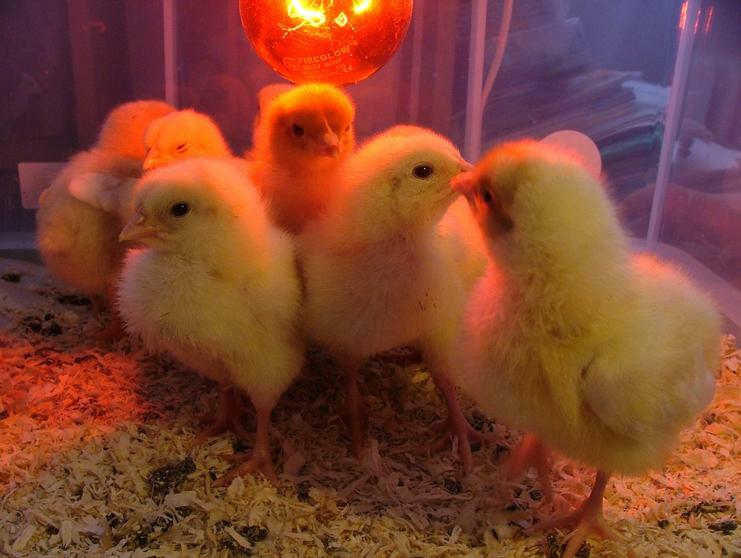 There are some short videos of the chicks hatching here,a few minutes later here and some when the children come in here. 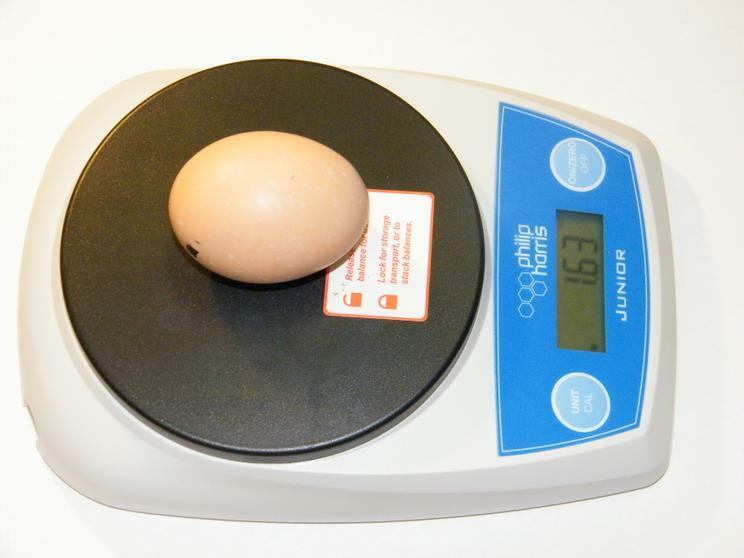 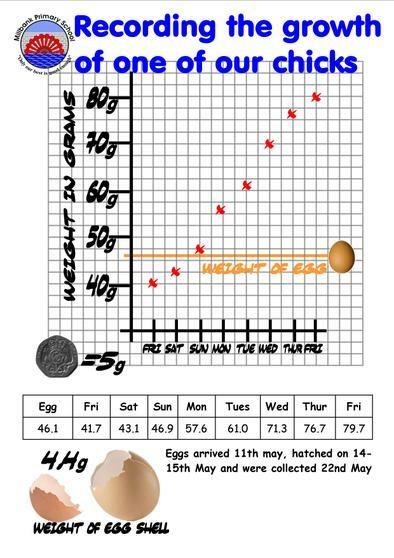 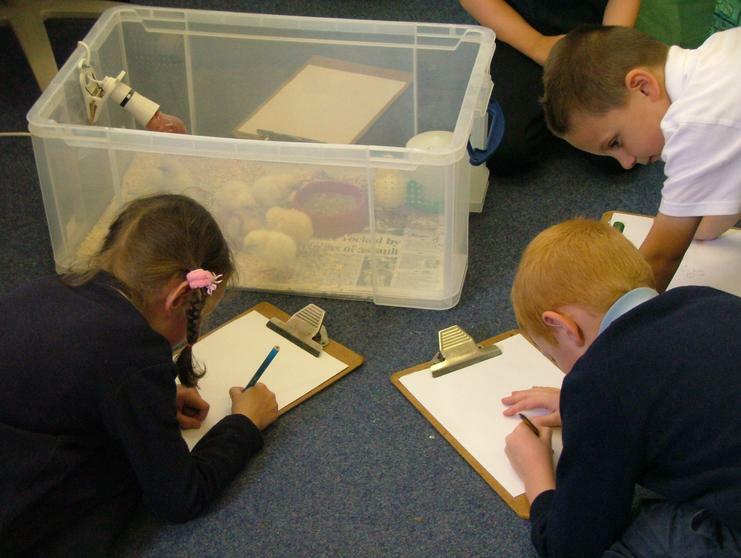 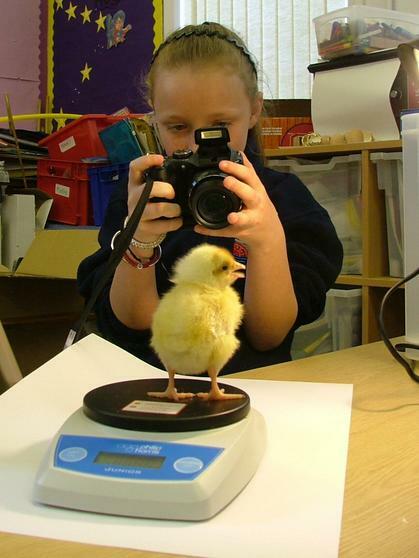 There are lots of different ways that we can record the growth of the chicks, we talked about the different ways of measuring them. 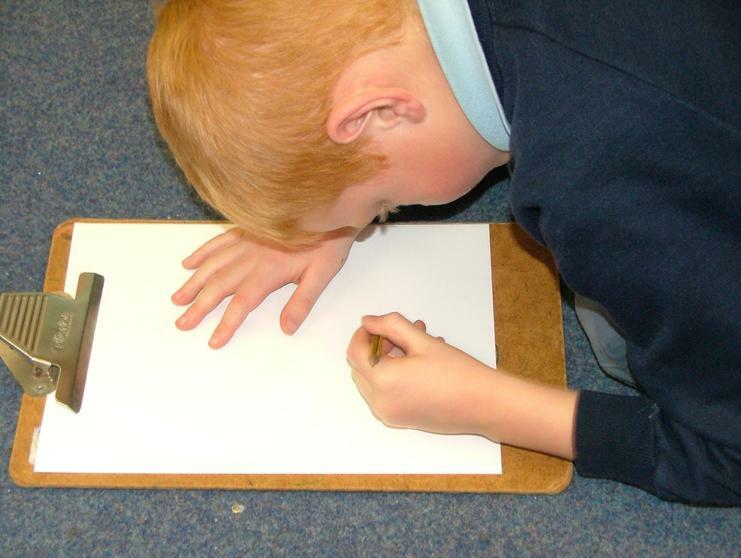 We could use a ruler to measure their height but then when we tried that it was very difficult as they can stretch a bit and curl up quick small so it was difficult to get a consistent reading. 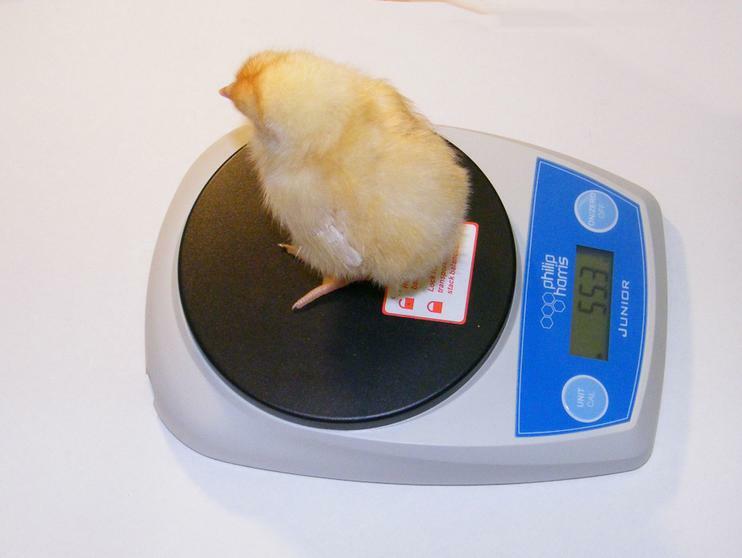 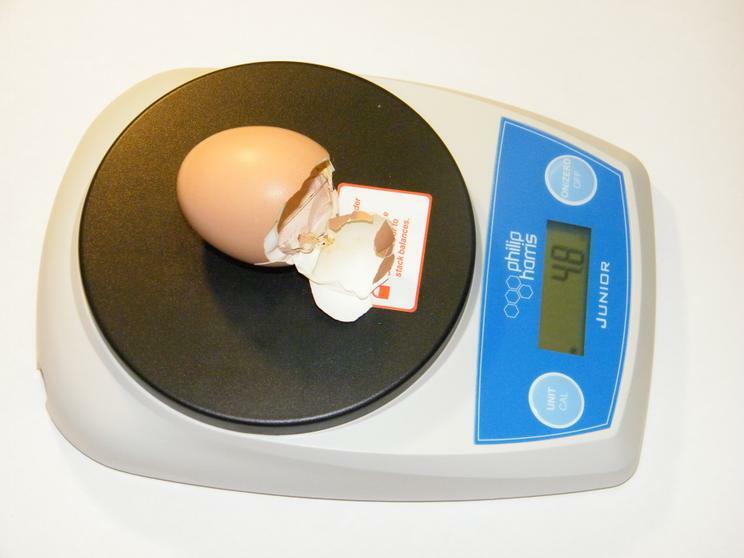 Even when we weighed them we tried to get the children to think about how that would vary (when they drank water or ate food or had a poo.) 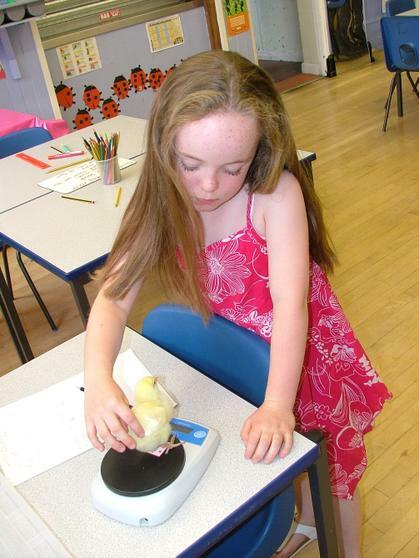 The children decided the best thing that they could do was measure them at the same time every day. 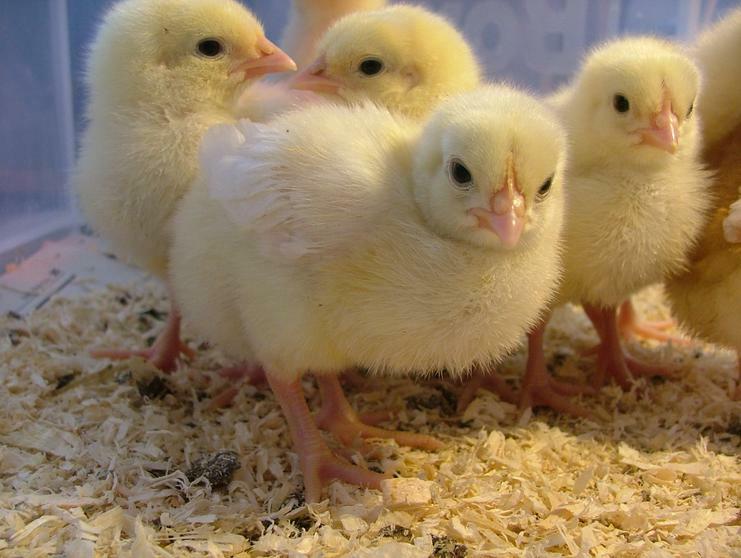 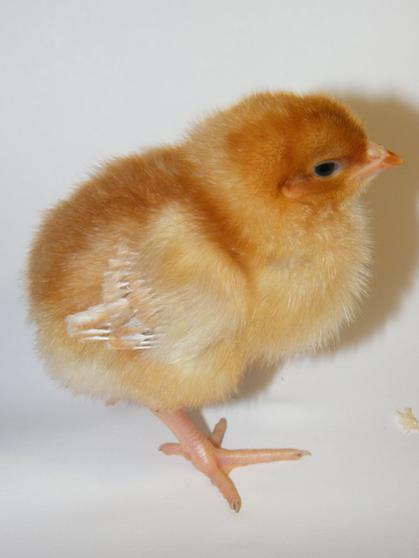 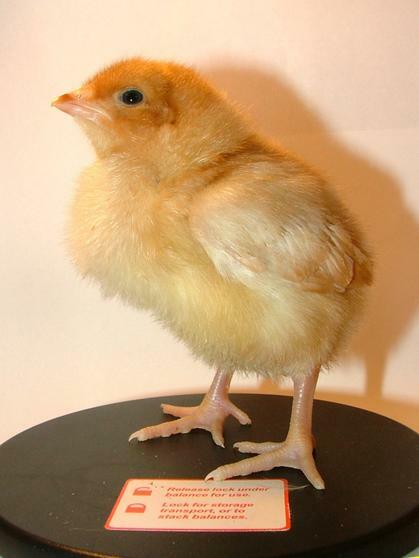 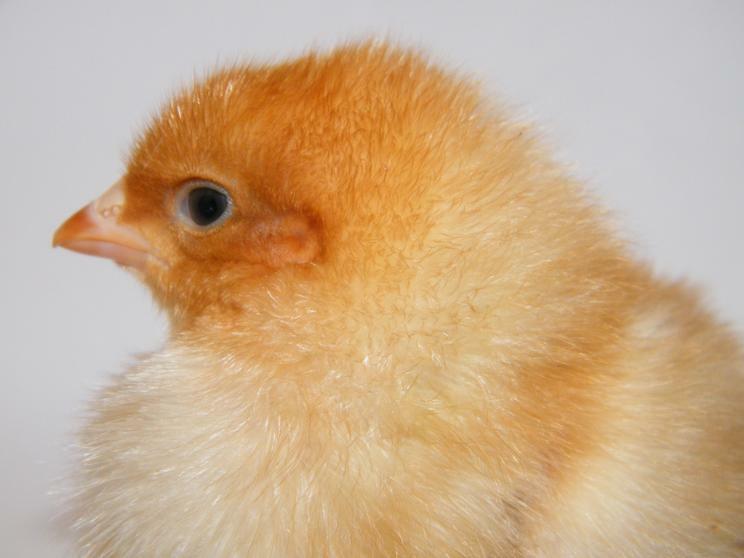 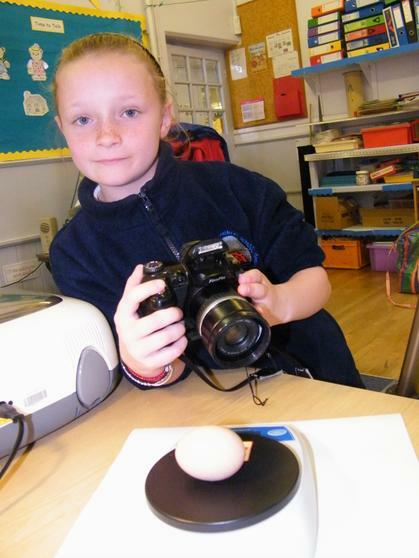 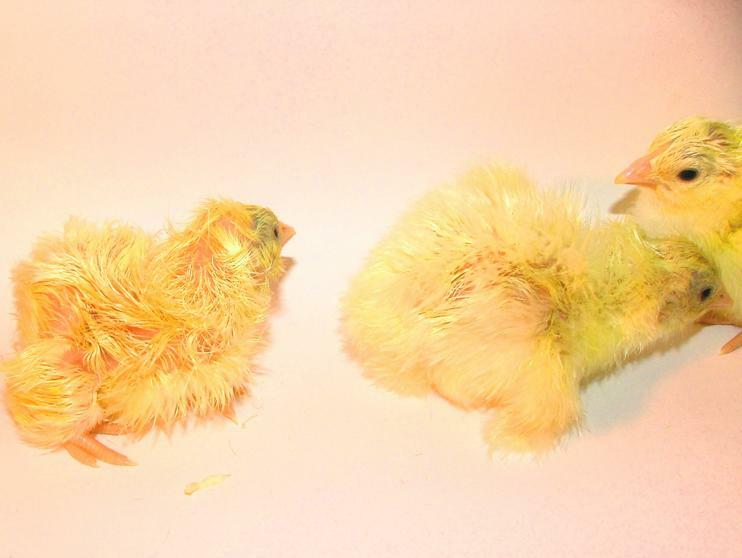 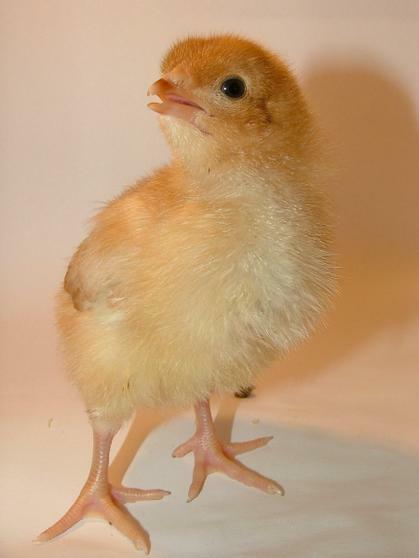 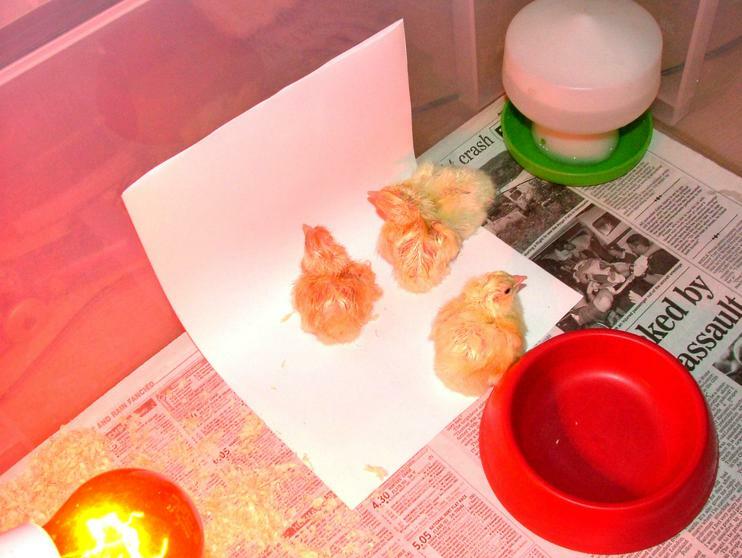 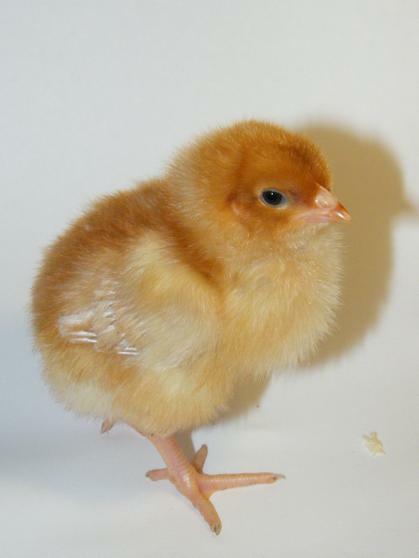 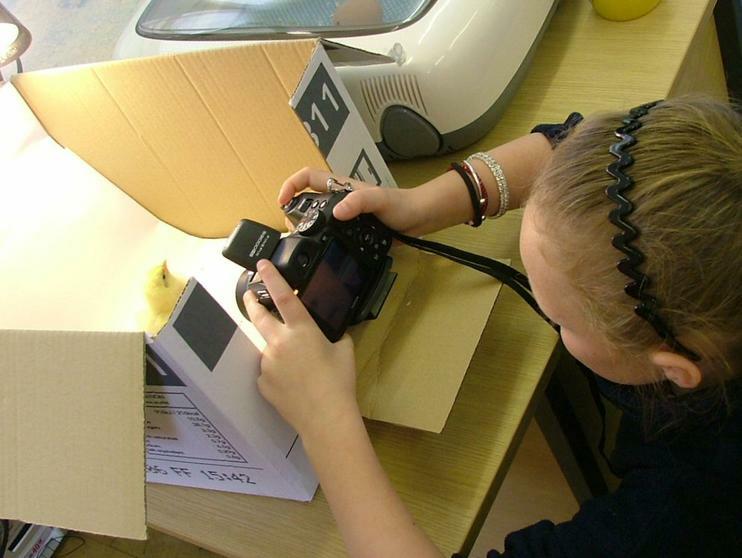 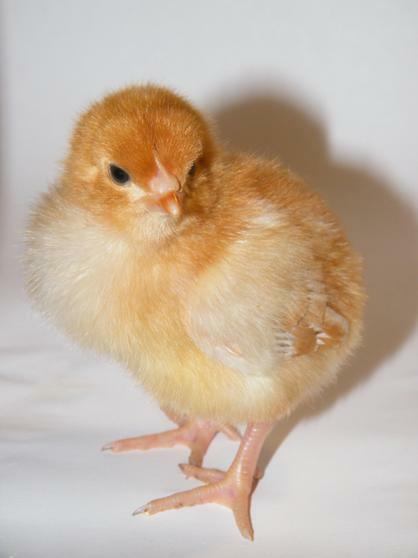 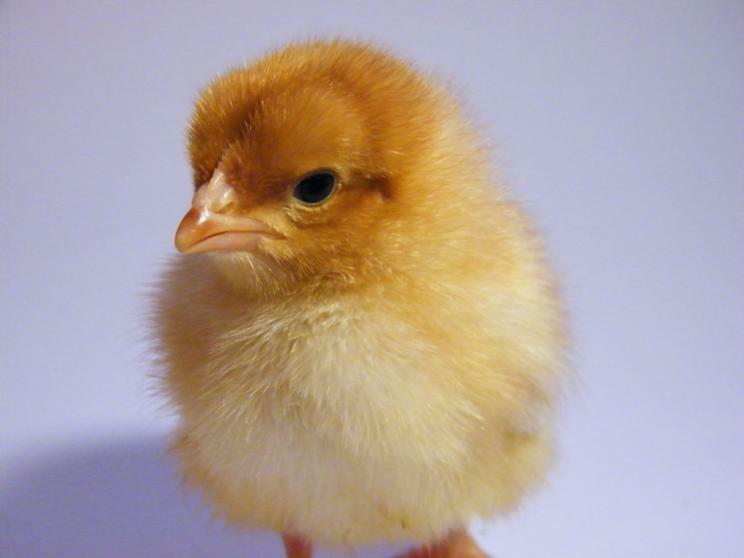 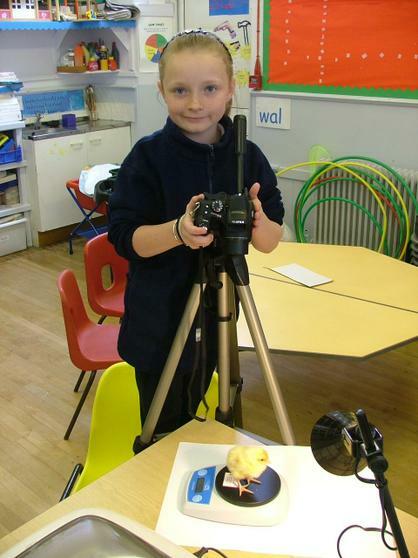 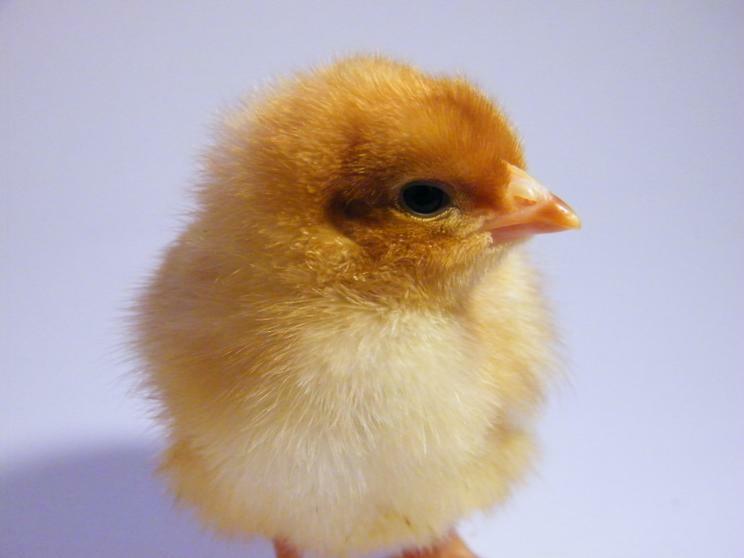 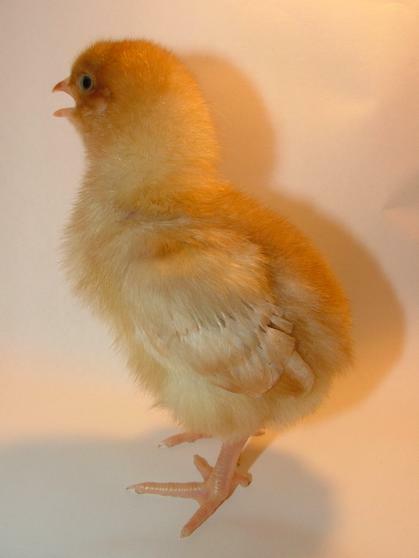 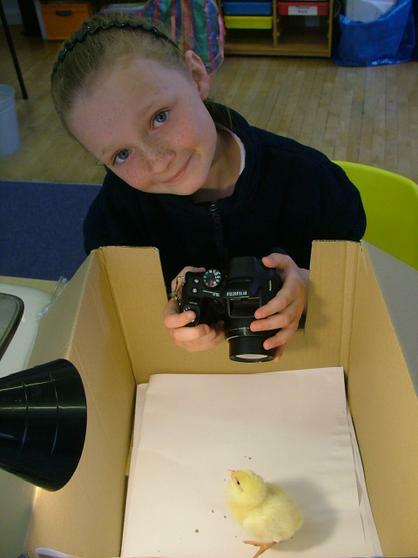 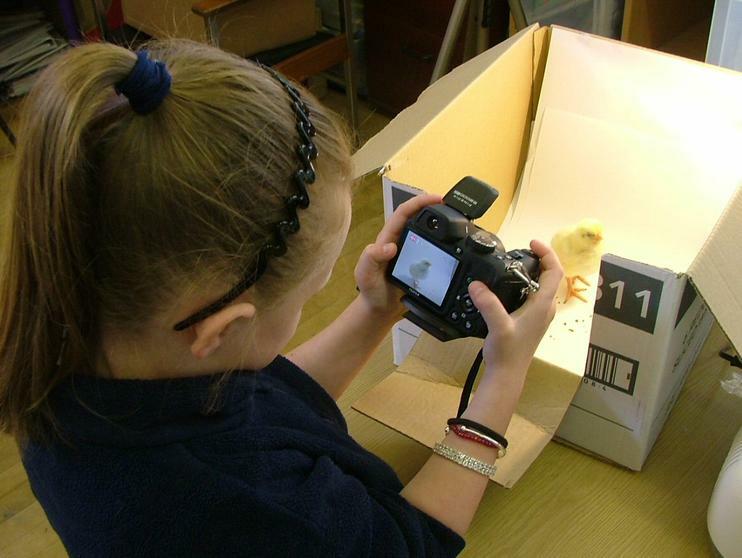 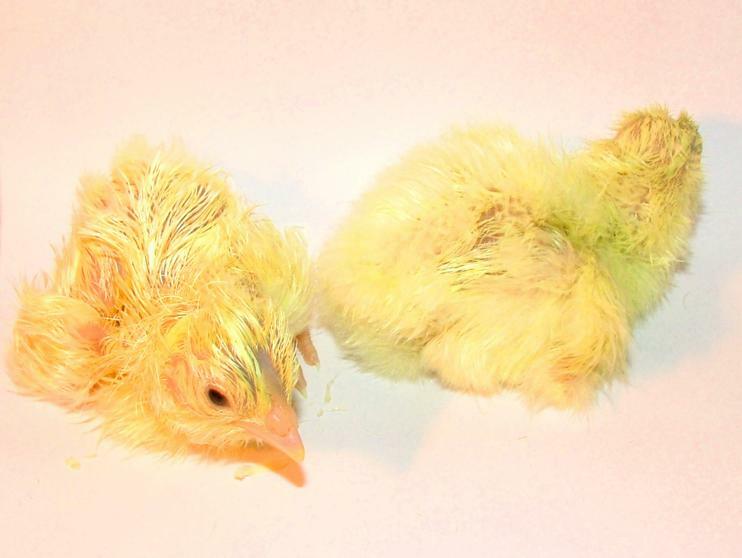 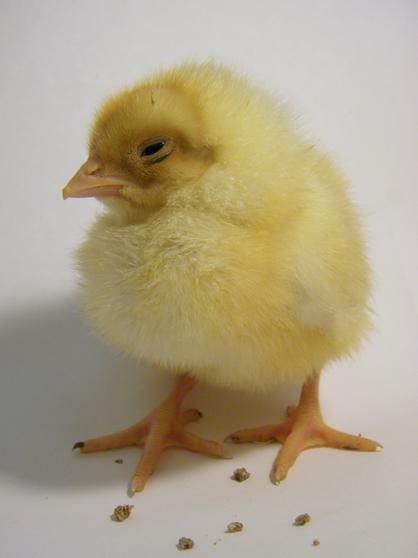 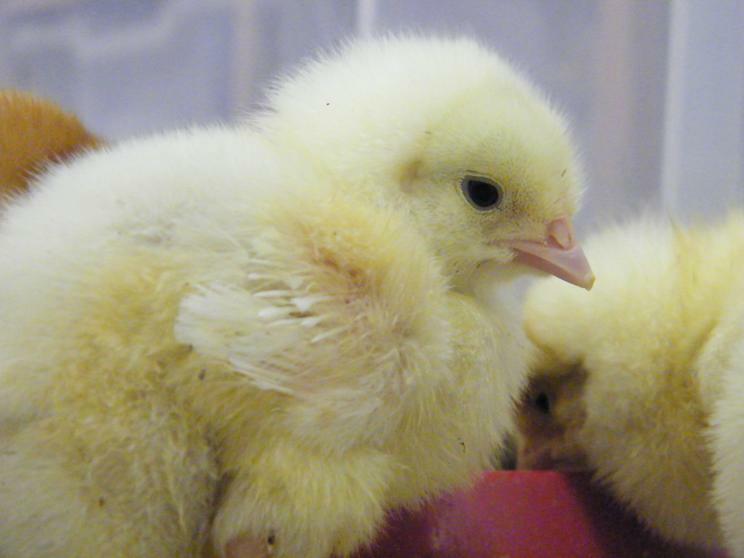 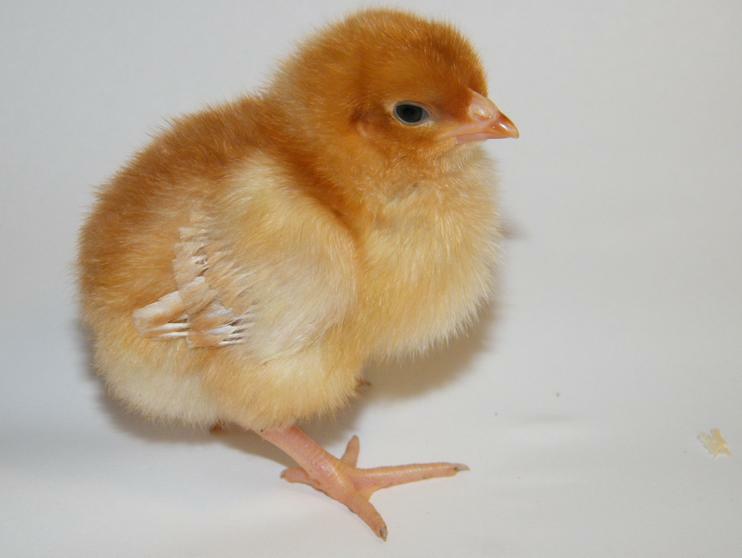 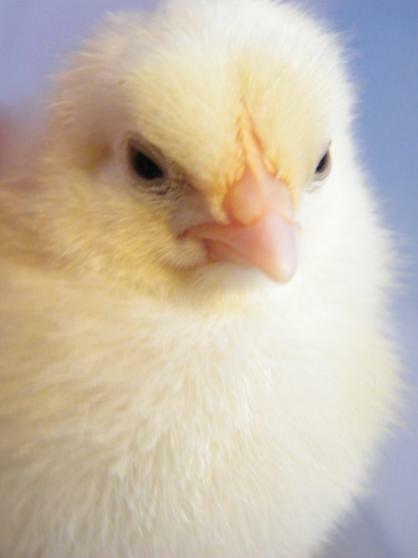 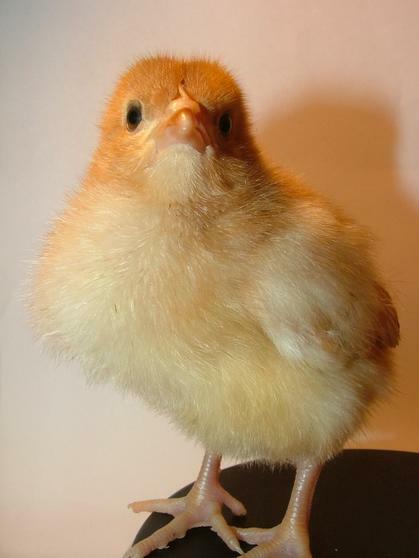 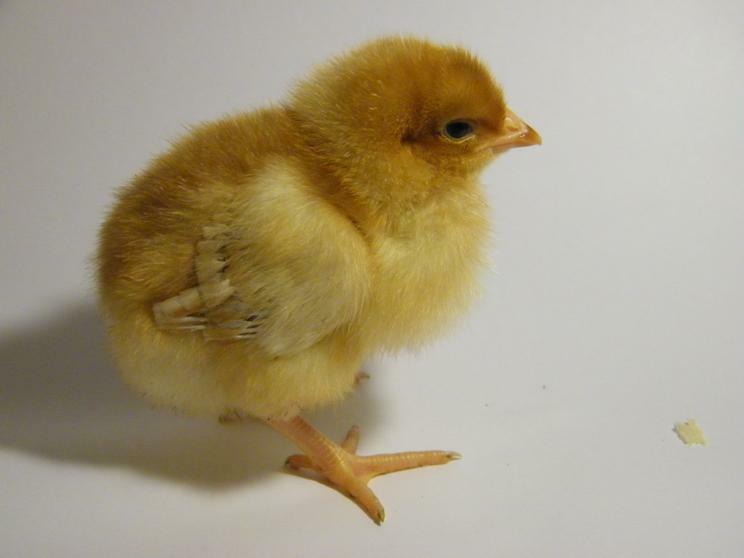 The children also took some lovely photos of the chicks, and did some lovely drawings. 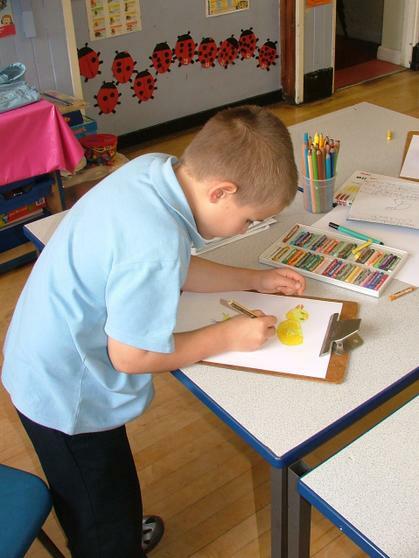 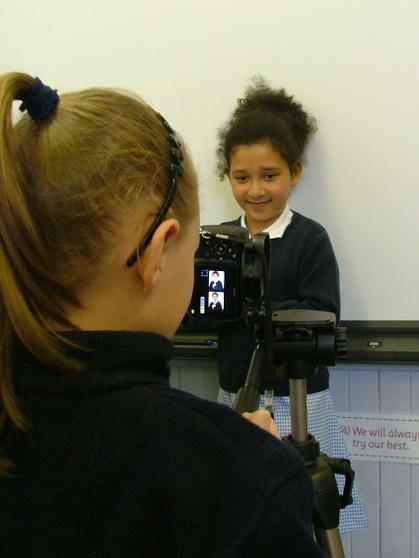 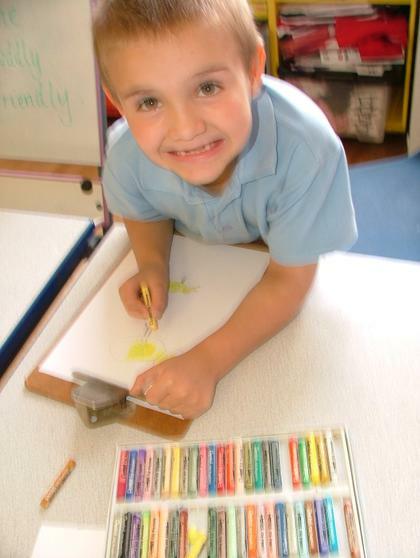 Each child has got different skills and abilities and we always want to encourage them whatever they are. 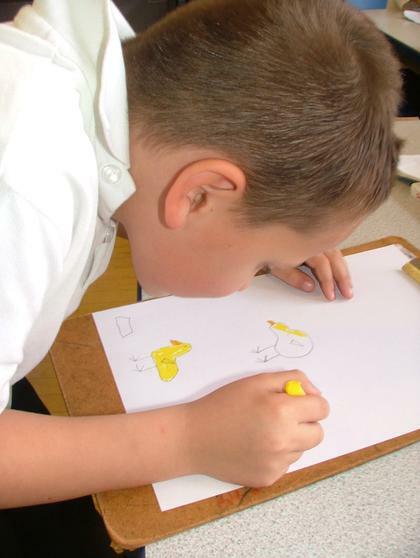 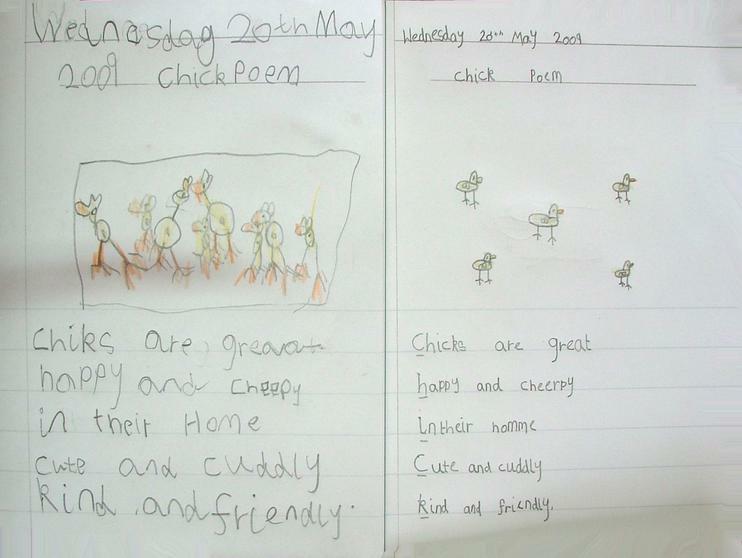 Some children did some fantastic sketches; some did detailed research on chickens; some did poems, but all tried their best and that is what we always want. 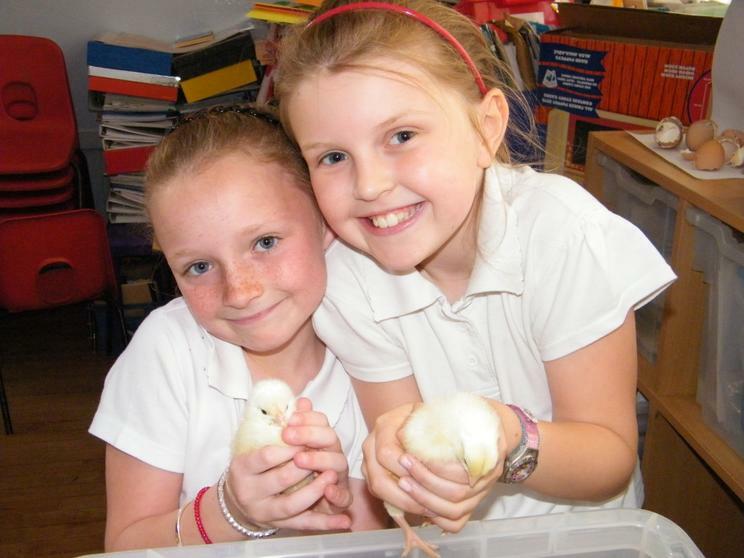 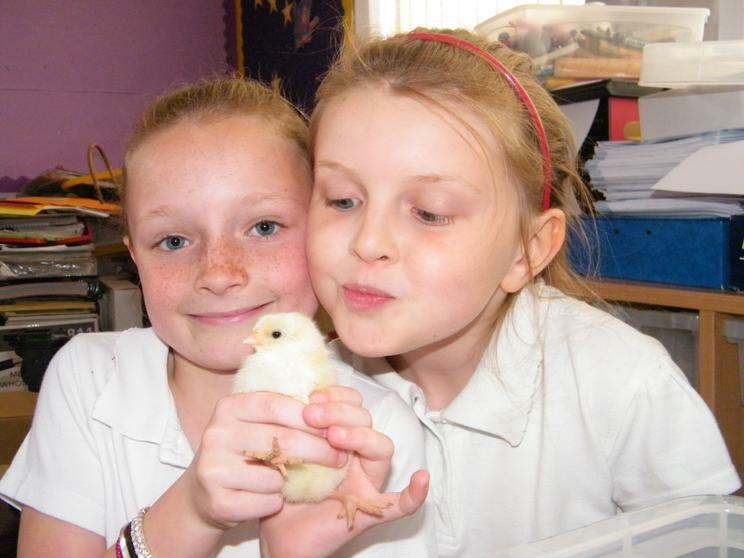 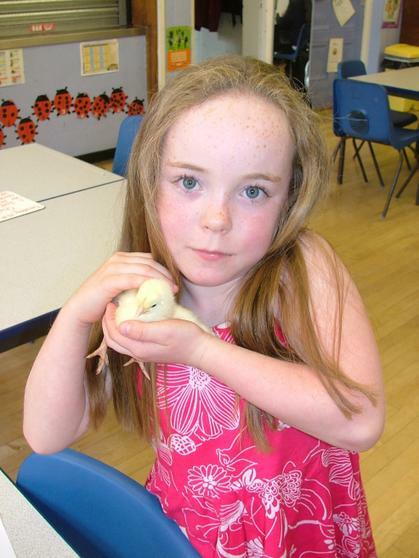 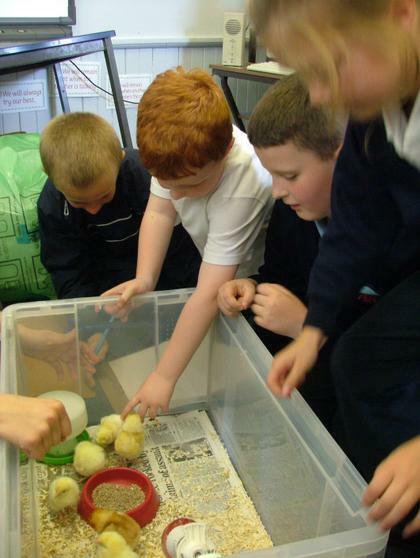 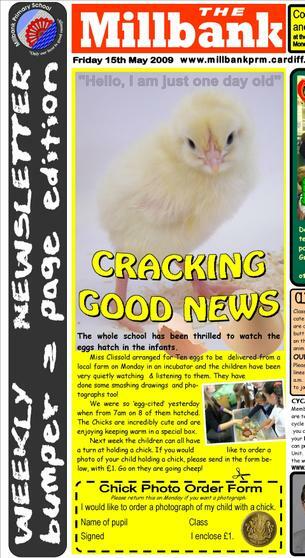 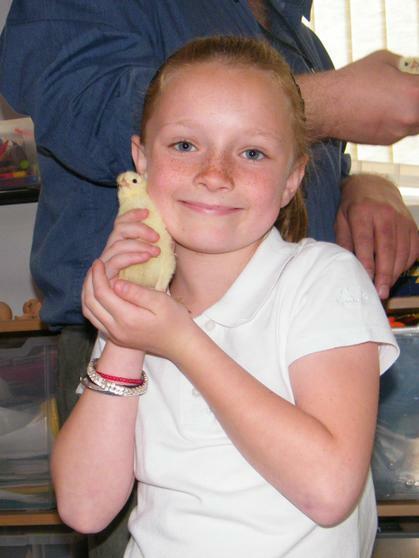 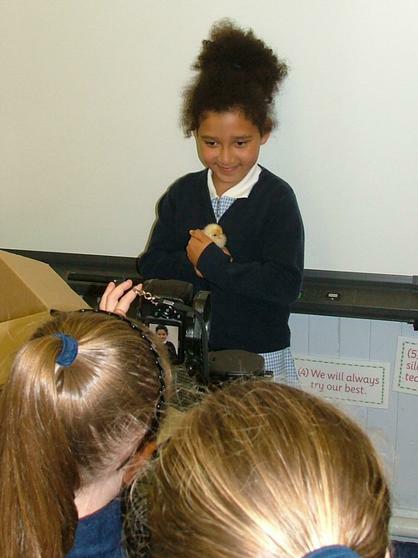 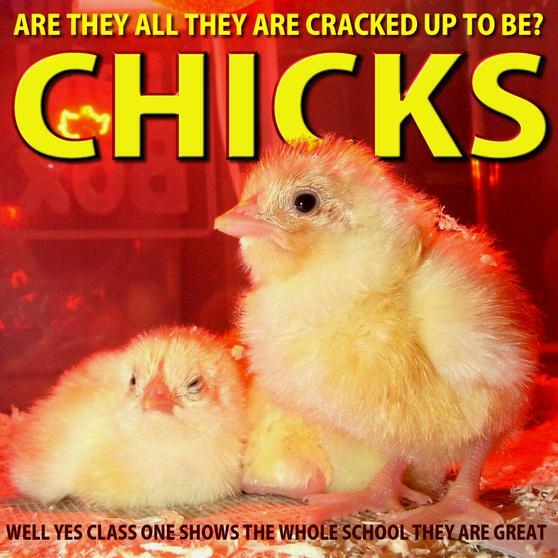 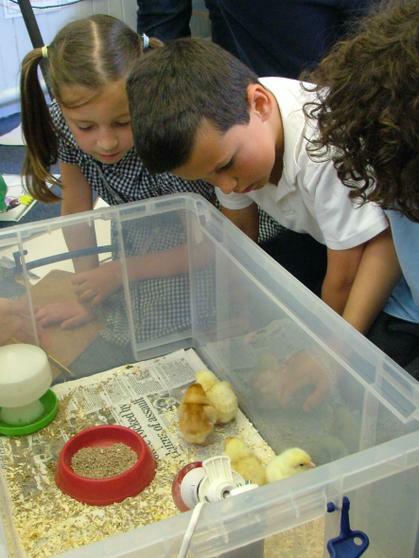 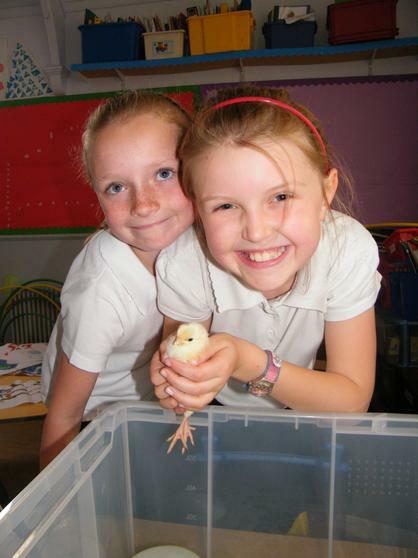 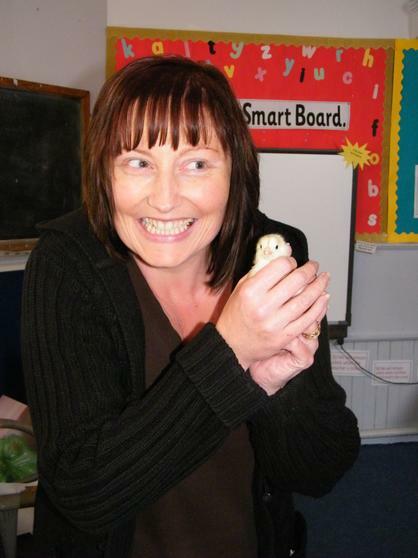 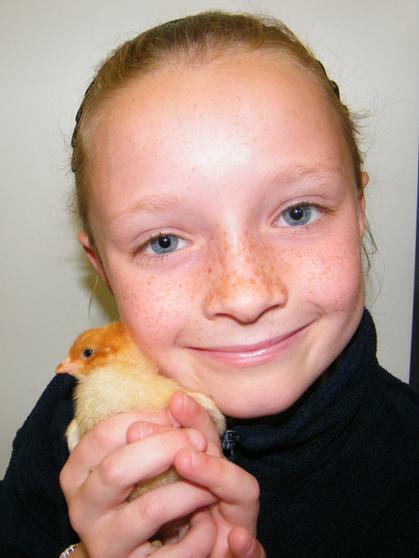 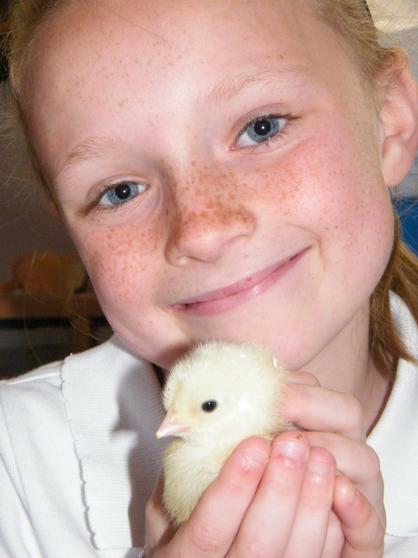 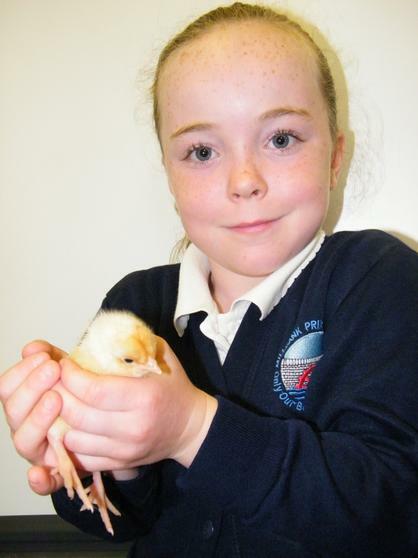 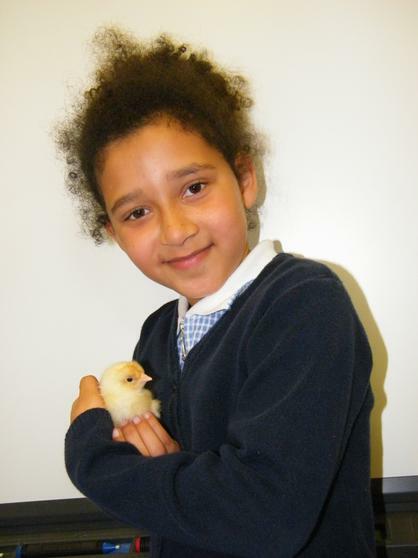 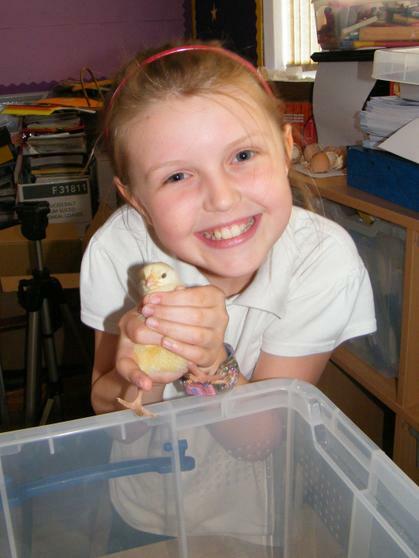 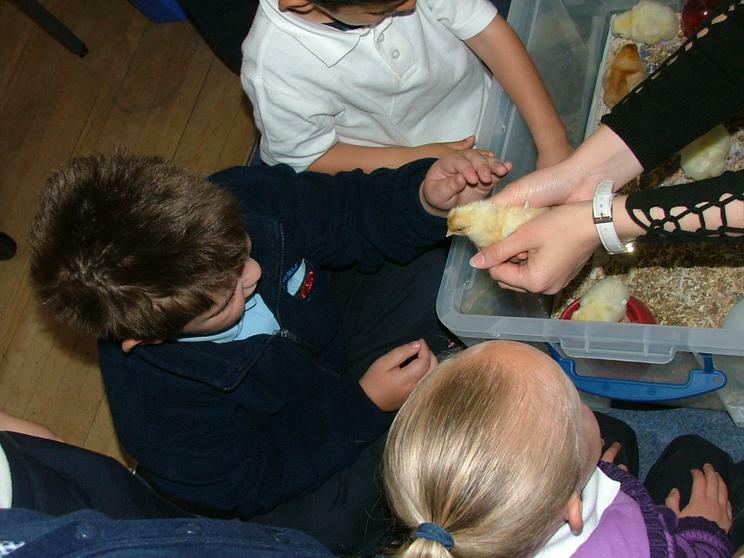 We all enjoyed having the chicks at our school. 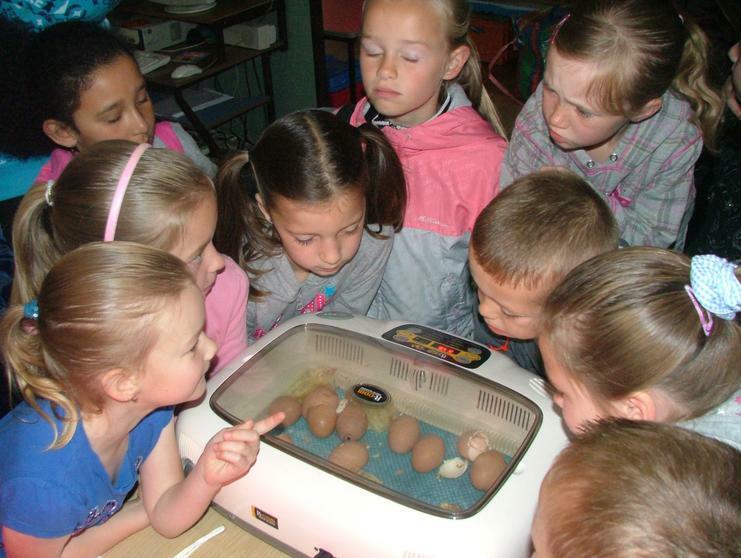 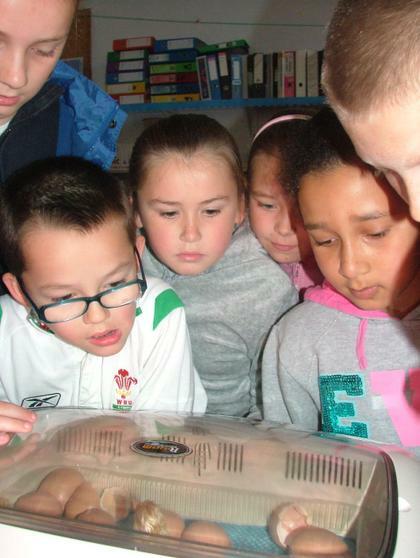 Class three had watched the butterflies hatch and grow as part of their science work too. 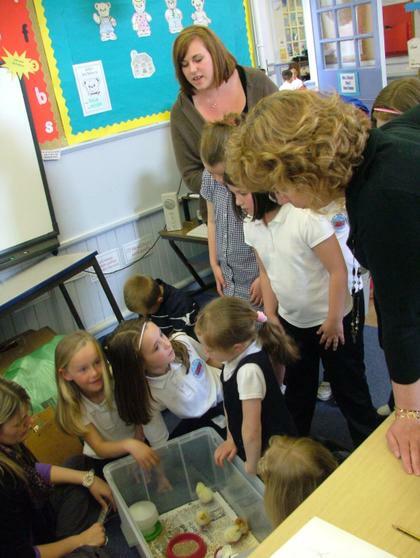 All lot of the children in Green Gang also did a lot of work about Bees for their lovely floral wheelbarrow that won 3rd prize at the RHS. 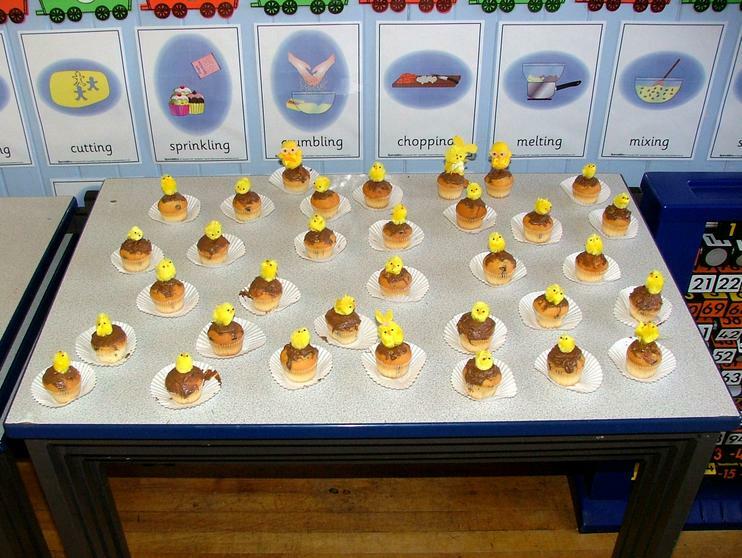 Again this was all done outside school hours and shows the pupils commitment to learning.